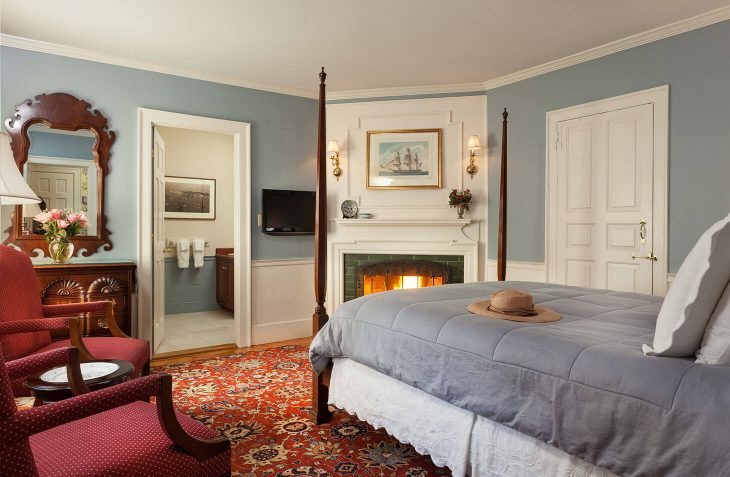 This quaint second floor room features a queen four poster bed, two reading chairs and a fireplace. The private bathroom features a walk-in shower and large new vanity. Large windows overlook the back of the inn making it a quiet and restful room but with plenty of sunlight during the day. 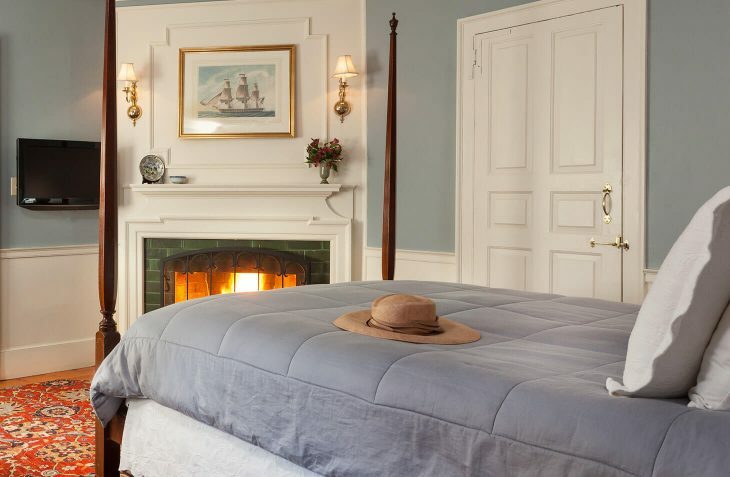 Enjoy the best weekend getaways from Boston with one of the specials or packages at our romantic Marblehead, MA hotel. 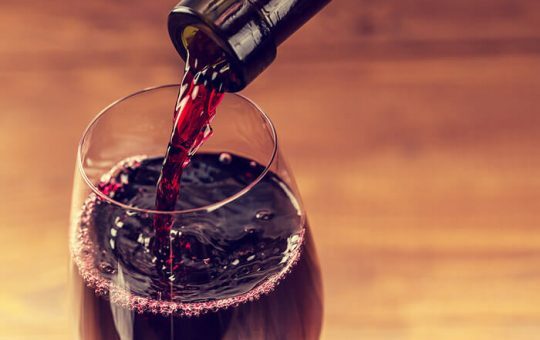 Choose between a bottle of chardonnay or cabernet sauvignon.